How do I make my business stand out? What about uniform rental? For years, the small town of Leonardtown, Maryland was perhaps most famous for the national oyster-shucking championship, an annual event at the St. Mary’s County fairgrounds. After all, Leonardtown is home to just 2,930 people (2010 census). However, this quaint little town, described by locals as a cross between Mayberry and Annapolis, is on the rise. Leonardtown is home to a growing economy, primarily due to its proximity to the Patuxent River Naval Air Station and Washington DC. Two hotels were recently constructed within the city limits and several new restaurants and an upscale supermarket have opened in the past several years. New businesses are opening up in Leonardtown every day (or so it seems). This is great news for the city, but potentially threatening news for business owners. How do you make your business stand out? There is a reason why 32 million workers in the United States wear uniforms to work each and every day. Uniforms work! It doesn’t matter if you own a restaurant, construction company, healthcare facility, or any other business for that matter, uniforms can help you improve productivity and increase profitability. How? Uniforms make employees feel like they are part of a team, which helps boost morale. According to a study by Bright Horizons, employees with high morale are 89% more likely put in extra effort and extra hours at work, increasing productivity. And when productivity increases, profitability increases as well. All that by making one simple decision: uniform rental. For forty years, Lord Baltimore has provided reliable, cost effective uniform rental service to the Leonardtown area. We understand your needs, because we are an independently owned, local business ourselves. While other companies offer you high tech solutions that speed up their processes, improving their bottom line, Lord Baltimore offers proven, dependable solutions that will help your business succeed. We are confident in our ability to provide you with service above and beyond uniform rental industry standards. 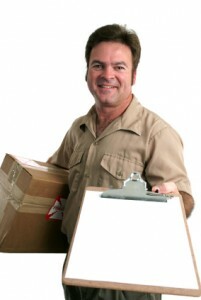 To find out if Uniform Rental is the right choice for your Leonardtown business, please contact Joe Bateman at Lord Baltimore Uniform at 800-292-1224 or visit LordBaltimoreUniform.com. You can also follow Lord Baltimore on Facebook, Twitter, LinkedIn, and Google+. Lord Baltimore also handles towel rental for gyms and salons; apron, towels, uniforms and mats for restaurants; and uniform, shop towel, fender cover and mat rental for manufacturing and automotive industries. This entry was posted on Tuesday, April 15th, 2014	at 1:15 pm	. You can follow any responses to this entry through the RSS 2.0	feed. Both comments and pings are currently closed.